How much would you pay to improve your brain? What if you had problems associated with attention, depression, or anxiety—would you pay even more to rewire your brain and overcome your condition? As a researcher interested in mental health, neurofeedback intrigued me. I couldn’t help but investigate further. The foundational claim—that neuroimaging can be used as a therapeutic tool to regulate the brain, rather than just an instrument for observation—is paradigm shifting. Like any eager information seeker, I opened my laptop and delved into the seemingly all-knowing Google search engine. I learned that neurofeedback can not only improve attention, but also strengthen athletic performance, relieve chronic pain, and even help treat autism. The claims were backed by a number of international research societies, professional certification boards, thousands of practitioners, and journals worth of evidence. But, as the saying goes, when something sounds too good to be true, it probably is. Being an academic neuroscientist, I didn’t limit my research to the Google perspective, let’s call it. I leveraged an advantage that few consumers have—access to peer-reviewed research and the training to critically interpret it. Initially, I found a watered-down version of the Google perspective. Review articles tended to highlight neurofeedback as a promising treatment, but softened their conclusions with the age-old academic temperament that “we need more research to really understand what’s going on.” Much of this information, however, appeared in journals with little academic recognition, and the names of neurofeedback practitioners often landed among the list of authors. I decided to go straight to the source. With help from colleagues, I sifted through thousands of academic papers that investigated neurofeedback. Our main finding? At the time of our research, only nine neurofeedback studies had used an adequate control group and a double-blind design (where neither the experimenters nor the participants know who receives the real treatment). Many of the studies showed that neurofeedback could improve some behaviors, but no more than if participants underwent the same procedure and received false feedback pre-recorded from another participant. Changes in behavior relied purely on placebo effects. Since then, researchers have conducted two of the most rigorous neurofeedback experiments to date. They showed that neurofeedback can both substantially improve attention and also make us think we sleep better, but not actually improve our sleep. Again, false feedback worked just as well as real feedback. In other words, it doesn’t matter if you watch your own brain, or if you watch a recording of Jim’s brain from last week, you’ll improve all the same. The benefits seem to stem from being highly motivated and exerting effort, rather than from altering brainwaves. To further ensure I wasn’t missing an essential piece of information, I got in touch with a few of the leaders who helped popularize neurofeedback and who published some of the most influential papers on the topic. Even they disagree that neurofeedback alone is an effective treatment. Neurofeedback sits on a shaky foundation. Advocates of this technique mistakenly assume that the brain activity associated (correlated) with a particular behavior is the cause of that behavior. For example, because the brain often makes more intense “beta waves” when an individual is highly attentive, advocates assume that amplifying beta waves will cause better attention. To borrow an analogy from the psychologist Barry Beyerstein, this logic may be comparable to opening an umbrella to make it rain. Beyerstein revealed the flawed logic behind neurofeedback nearly three decades ago. This technique has changed very little since. Some clinics tout a newer and more advanced, yet equally problematic, neurofeedback method. They employ a technique called “Z-score training” which attempts to train participants to produce “normal” brain activity as defined by a database of scans taken from healthy individuals. And yet, idolizing a “normal” brainwave profile is like arguing that people should all strive to be the same “optimal” height—even if that means stretching some people and squishing others. The shape and size of the human brain and skull varies substantially between individuals. Even if two brains produced the same activity, the signal would look different by the time it reaches the sensors placed on the scalp. When we looked at the most comprehensive list of publications on Z-score training, we found that 95% of the authors either practice this technique privately or sell the equipment to do so. Surely not. For the most part, they treat many people and see some improve. They may then come to associate the successful cases with the promise of neurofeedback (rather than with placebo effects) and the unsuccessful cases to imperfections that still need to be worked out. This flawed logic fuels another multi-billion dollar industry where advocates argue that diluting a chemical compound to the point where there is likely absolutely no active ingredient left, can treat various diseases. Not surprisingly, scientific investigation into this technique—namely, homeopathy—reveals nothing more than the placebo effect. In the domain of neurofeedback, international research societies and professional certification boards may paint a picture of scientific rigor. But, it’s important to remember, similar organizations exists for homeopathy and even parapsychology—some of the most scientifically disproved disciplines. If not neurofeedback, then what? 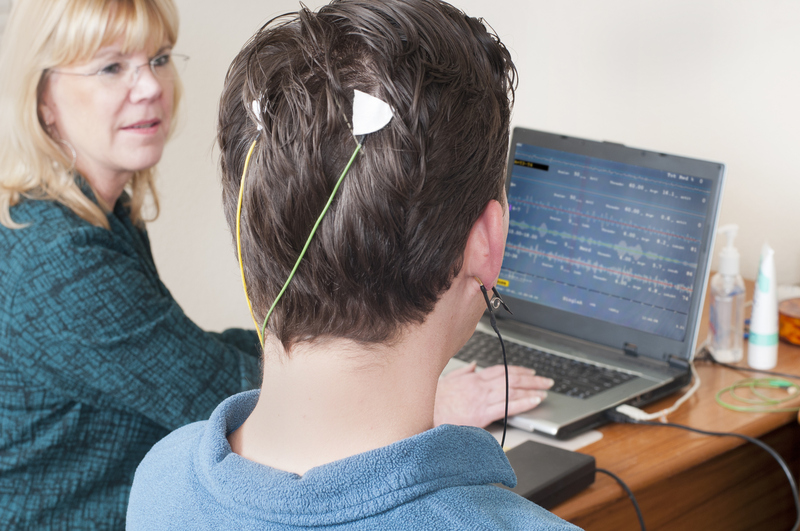 Neurofeedback represents one method in a suite of brain-training techniques. People seek brain training for many reasons, from the desire to improve mental performance and well-being, to the prevention of cognitive decline and neurodegenerative conditions. When it comes to serious medical conditions, the “do-it-yourself” approach is often ill-advised. Store-bought brain stimulation, computer-based brain-training games, or consumer-grade brain recordings should all be approached with caution. Together with neurofeedback, these techniques form the largely hollow pillars of the brain-training industry. A far-reaching reanalysis of studies investigating the most popular form of brain stimulation (called transcranial Direct Current Stimulation, or tDCS), revealed that this technique does very little, if anything, to alter our brain or behavior. To bolster this finding, a grisly experiment implanted electrodes inside the brain of a human cadaver and found that the electrical current used in standard stimulation protocols hardly even reaches the brain. Computer-based brain-training games don’t fare much better. Lumosity, the largest company in this industry with over 75 million subscribers, reached a settlement with the Federal Trade Commission for falsely advertising that their games can improve performance at work and delay the cognitive impairments associated with conditions such as Alzheimer’s disease. Instead, playing their games appears to increase performance on those games only. The benefits fail to generalize to everyday life. As for brain recording devices sold directly to consumers—such as Muse and the NeuroSky MindWave—convincing evidence to support claims of improving brain and behavior have yet to surface. As expected, the formula for well-being doesn’t seem to lie in one magic drug or a single technology. Many of the concerns neurofeedback attempts to address likely respond to a variety of techniques including diet, exercise, cognitive therapy, behavioral interventions, pharmaceuticals, and lifestyle, among others. These techniques don’t always satisfy our desire for a quick fix, but they may prove fruitful when considered in appropriate combinations. Unfortunately, the quick-fix mentality remains strong. As a case in point, the U.S. Secretary of Education, Betsy DeVos, has wagered millions on a neurofeedback company called Neurocore. All the while, TINA.org has documented over 100 instances where Neurocore makes unsupported claims. As brain-training advocates continue to expand their reach over broader audiences, it’s worth remembering that neurofeedback may help improve some behaviors—but no more than if you try to regulate squiggly lines emanating from someone else’s brain. We wish health care wasn’t a buyer-beware market. For neurofeedback, it may be. This is a guest blog by Robert Thibault, PhD Candidate in the Integrated Program in Neuroscience at McGill University. He is interested in expediting scientific discoveries through efficient research practices. His publications are freely available at razlab.org/publications. Guest Author Guest posts are written by experts who TINA.org invites to share their opinion on subjects of interest to our readers. The views, opinions, and positions expressed in this blog post do not necessarily reflect the views, opinions, and positions of TINA.org. Chevy Says Its Silverado Is ‘The Official Truck of Real People.’ Really?